6/18/2018 — A large, multidisciplinary team of scientists, equipped with advanced underwater robotics and an array of analytical instrumentation, will set sail for the northeastern Pacific Ocean this August. The team’s mission for NASA and the National Science Foundation (NSF) is to study the life and death of the small organisms that play a critical role in removing carbon dioxide from the atmosphere and in the ocean’s carbon cycle. 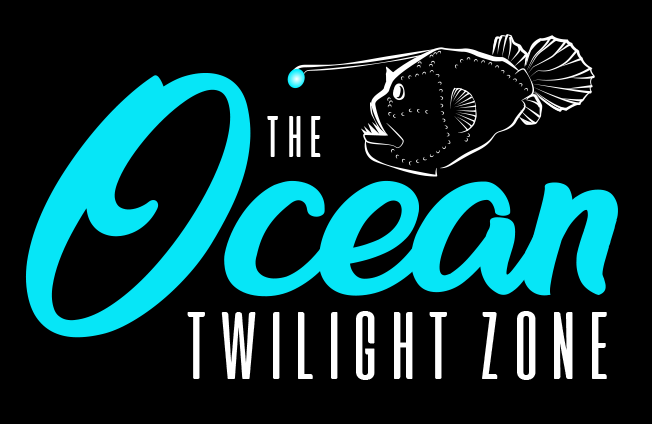 The expedition will mark an important step in growing efforts to explore and understand the ocean’s twilight zone. More than 100 scientists and crew will embark from Seattle for NASA’s Export Processes in the Ocean from Remote Sensing (EXPORTS) oceanographic campaign. EXPORTS is the first coordinated multidisciplinary science campaign of its kind to study the fates and carbon cycle impacts of microscopic plankton using two research vessels and several underwater robotic platforms. The research vessels, the R/V Revelle and R/V Sally Ride, operated by Scripps Institution of Oceanography at the University of California San Diego, will sail west 200 miles into the open ocean. From these seaborne laboratories, researchers from nearly one dozen institutions, including the Woods Hole Oceanographic Institution (WHOI), will explore the plankton, as well as the chemical and physical properties of the ocean from the surface to half a mile below into the twilight zone, a region with little or no sunlight where the carbon from the plankton can be sequestered, or kept out of the atmosphere, for periods ranging from decades to thousands of years. While the major export pathways of how carbon moves through the ocean are known, the magnitude of the carbon flows in the different oceanic pathways and their dependence on ecosystem characteristics are poorly known. Scientists on the EXPORTS team, including WHOI chemist Ken Buesseler, who is a co-principal investigator on the project, are investigating how much carbon moves through the ocean within the upper sunlit layer and into the twilight zone and how ocean ecological processes affect carbon fate and sequestration. The long-term removal of organic carbon from the atmosphere to the ocean depths is known as the biological pump, which operates through three main processes. First, carbon-laden particles from the ocean’s surface sink through gravity, as happens with dead phytoplankton or feces produced by small animals called zooplankton. Second, zooplankton migrate daily close to the ocean’s surface to feed on phytoplankton and return to the twilight zone during nighttime. Third, physical processes in the ocean, such as the large global overturning circulation of the oceans and smaller-scale turbulent eddies, transport suspended and dissolved carbon to great depths. NASA’s satellites provide a variety of measurements of the ocean’s uppermost layer, such as temperature, salinity and the concentration of a pigment found in all plants called chlorophyll. EXPORTS will provide data on the role of phytoplankton and plankton in the biological pump and the export of carbon, information important to planning observations and technologies needed for future Earth-observing satellite missions. Among the many technologies being used is an autonomous platform called a “Wirewalker” that uses wave energy to move instruments along a taut wire from the surface to 1,600 feet (500 meters) in depth while measuring temperature, salinity, oxygen, carbon, and chlorophyll concentration. New microscopic imaging tools also will be used by EXPORTS scientists, including a high throughput microscope called the Imaging FlowCytobot that will provide real-time, high-resolution images of billions of individual phytoplankton. The Underwater Vision Profiler will measure the sizes of sinking aggregate particles and collect images of zooplankton organisms. Mounted on the ship’s superstructure will be optical instruments that will measure the ocean’s color at very high spectral resolution, from the ultraviolet wavelengths to the shortwave infrared bands of the electromagnetic spectrum. Phytoplankton have distinct spectral “signatures”—colors of light they absorb and scatter. By identifying those signatures scientists will be able to develop algorithms for future satellite ocean color missions such as NASA’s Plankton, Aerosol, Cloud, ocean Ecosystem (PACE) mission. From space, PACE will use similar optical instruments to distinguish the type and amount of phytoplankton present in the ocean. In addition to Buesseler and his team, scientists, engineers, technicians, students, and post-docs from four separate departments at WHOI will participate in field research, analytical activities, and modeling efforts to support the EXPORTS research agenda.